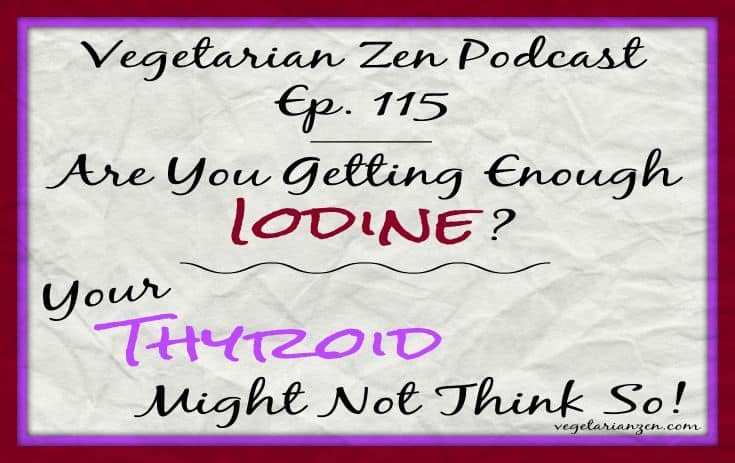 In this episode of the Vegetarian Zen podcast, we discuss thyroid issues and iodine deficiencies with our expert friends at Endogate, and why they are of special interest to vegetarians and vegans. Vickie discloses a personal story and shares why thyroid and iodine issues recently became important to us. Disclaimer: Everything we discuss is based STRICTLY on our own research and discussions with our doctor. Do not use this in place of medical advice. You should discuss any changes to your diet with your doctor. To keep the body in good health is a duty. Otherwise, we shall not be able to keep our mind strong and clear.